Our facility is conveniently located on the south side of West Lone Mountain Road, just north of Big Dog's Brewing Company. 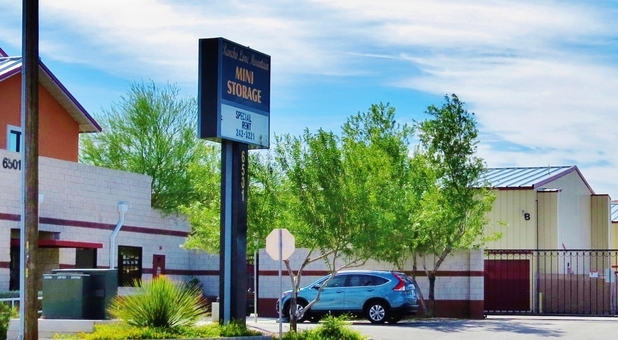 Rancho Lone Mountain Storage makes it easy for anyone in the Las Vegas area to benefit from our services. Look for our storage units just off US Route 95 – se habla Español! *On select units. Call for manager for details! Do you live or work in Las Vegas, Paradise, North Las Vegas, Sunrise Manor, Enterprise, Winchester, Spring Valley, or any other surrounding community in Nevada? You’ve just found the most secure and convenient storage facility around! We offer easy access hours, online bill pay, temperature-controlled storage units, and many other useful amenities. With drive-up access, for instance, you can park your vehicle right next to your rental for easy loading and unloading. 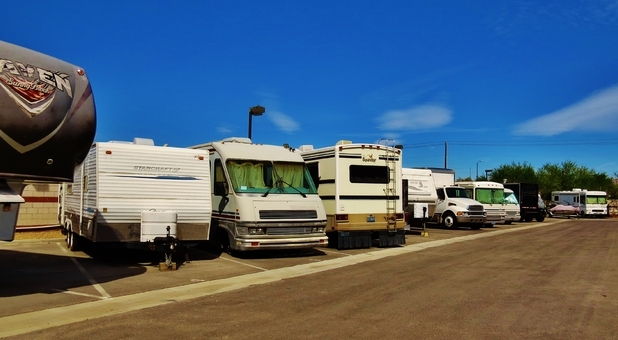 Our RV storage spaces are perfect for anyone who’s tired of having to sacrifice valuable driveway space. In fact, we have spacious parking spots for cars, boats, motorcycles, and nearly any kind of vehicle you may have. Security-wise, our customers have nothing to worry about. Our resident manager lives on the property, which is equipped with perimeter fencing, gated access, and video surveillance. Our friendly team will bend over backwards to make sure your every need is met, so call us today! Happy to meet such professionals! Great Place to rent storage! 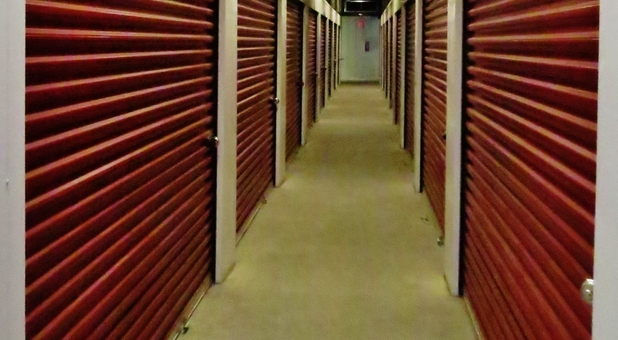 This is a great place to rent a storage unit. The prices are lower than others in the area. It is clean and the management is great to work with. We moved from another storage unit that was sold to Shield Storage Co. It was disaster after it was sold. The rates went up, the place was always dirty etc. We now have three storage units at Rancho Lone Mountain Storage and couldn't be happier. NEW Management Team! We reserve the right to refuse business with dishonest people. We stand firm for our company and treat each customer with the up most respect. We invite you to come meet our awesome team and check out our clean and well maintained facility. Please Note: Move in Specials and Discounts are only on select units that have five or more units available for rent (must qualify). Absolutely! Great place and good price. Wow, I was shocked when I read some of the reviews as these reviews are not the experience that I had at all! First off, the picture of the couple is old, they aren't there anymore. On my first visit, I asked if I could use the restroom and the answer was yes, of course. The restroom was clean, smelled great, all of the supplies for a restroom were present and it was nicely decorated. I've interacted with both of the ladies in the office, and I must say, they are both classy ladies. They are very (professional, very nicely dressed (business casual), are very courteous and knowledgeable and have never used any language other then professional. 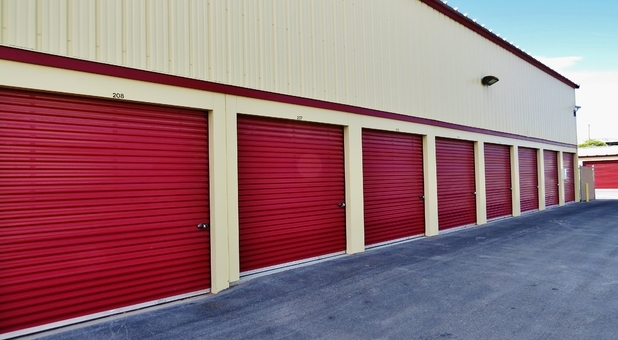 The storage units and the entire grounds are very clean. No trash anywhere. The interior areas are excellent if you are looking to keep art work and furniture in a climate controlled environment. I moved from two storage units to two different storage units. I wasn't really sure what I would need until I unloaded all of my belongings. I was never treated as thought the move to different storage units was a problem. When reading reviews, I have to consider the source. Are these people angry? Did they not get a BIG enough discount? People are always looking to get something for nothing these days. This is a business and it is in fact run in a very professional way.